With the mission of respecting biodiversity, Niepoort is recovering several old vines of white varieties in the Dão region of Portugal, going beyond the variety Encruzado, predominant in the region. Rótulo white results from a blend of varieties, almost forgotten, like Borrado das Moscas, Rabo de Ovelha and Cercial, among others. 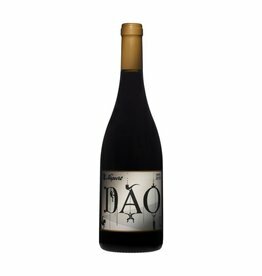 Without any influence of barrels, they created a delicate, light, and harmonious wine, that reflects the granite, very typical of the Dão region. The viticultural year 2015 in Dão was marked by a drier winter than in the previous year and the rain in early spring allowed to obtain some water reserves in the soil that supported the plant during the dry months of spring and summer. Being an early year, in July the vine was already in the verison phase and the harvest began one week earlier than the last year. The grapes coming from old vines were carefully transported to the cellar, where they were pressed. The alcoholic fermentation occurred in stainless steel vats, and the ageing took 12 months in cement vats in the presence of fine lees. Yellow bright and very light colour, the Rótulo white 2015 has a delicate aroma, with a vegetal component strongly present, in harmony with some notes of stone and slight notes of white fruit. Structured, with good mouth volume, is a white with presence, supported by a good acidity and a strong mineral component. 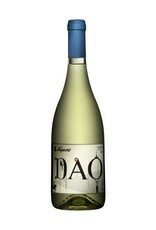 Refreshing, provides a delicate finish, with notes of fruit and fresh herbs. Delicate fish, salads and any type of white meat. Cheese with soft flavour and hard cheese match perfectly with Niepoort Rotulo Dao branco.